A stocked, coated, thermal-transfer paper label, the Honeywell Duratran™ II exhibits excellent print quality when used with the appropriate ribbon. Featuring a permanent, glove-friendly adhesive, the Duratran II is recommended when moderate abrasion, heat, or sunlight is present. Special adhesives are available with custom orders. Duratran is available in a wide variety of products that stand up to high heat, direct sunlight, moisture, and other harsh ·	Duratran labels and tags are highly reliable even in harsh environments. Duratran is available in a wide variety of products that stand up to high heat, direct sunlight, moisture, and other harsh environmental conditions. Duratran labels feature excellent print quality and flexibility. The Honeywell Duratran™ II take-from-stock paper tag is a 7 mil thermal-transfer coated tag exhibiting excellent printing quality. The Honeywell Duratran™ Kimdura tag is a durable synthetic tag exhibiting good tear and moisture resistance - as well as moderate temperature and chemical resistance - when used with a premium Honeywell ribbon. Duratran Kimdura tags may also be used in outdoor applications. Duratran labels and tags are highly reliable even in harsh environments. Duratran labels feature excellent print quality and unlimited flexibility. 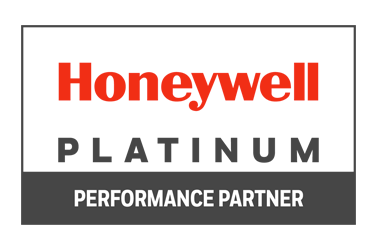 The durable Honeywell Duratran™ Kimdura synthetic thermal-transfer label delivers cost-effective printing with good tear resistance and high moisture resistance. Featuring moderate temperature and chemical resistance when used with a premium Honeywell ribbon, Duratran Kimdura labels can be also be used outdoors, and special adhesives are available with custom orders. A unique polyethylene 7-mil tag that is extremely tear-resistant, the Honeywell Duratran™ Valeron tag features excellent moisture-resistance, making it ideal for outside use. Tear-resistant when used with staples, wire, metal, and plastic strapping, custom Duratran Valerion tags are also available in a thicker milage, or as a label. A durable polyethylene thermal-transfer label with good tear-resistance and an aggressive adhesive, the Duratran SyntranTM is suitable for a variety of outdoors applications. Use in self-strip applications is not recommended. A high-gloss, 2-mil, top-coated polyester label with a permanent adhesive, the Honeywell DuratranTM Gloss Polyester label provides good tear, smear, and abrasion resistance, as well as moisture and heat resistance. Custom orders can include special adhesives, 4-mil material, UL/CSA recognition, or polyester tag construction. A high-temperature, chemical resistant polyimide thermal transfer label. It is also smear resistant when used with Honeywell TMX 3200 ribbons. Gloss White Kapton labels are ideal for PC board marking and tracking. Use in high-heat applications up to 500°F. Four rolls of Duratran II 4x6 labels (part number E06175) packaged together with TMX2200 ribbons in the same box.